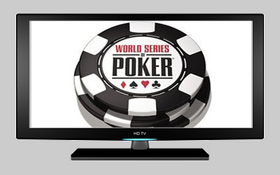 After a nice increase in ratings for the $50k Players Championship it appeared that ESPN would have another solid year of World Series of Poker broadcasts. However, since the initial ratings increase, ESPN has witnessed its WSOP ratings drop off, nearly 16% from last year’s broadcasts. This number includes the initial 15% increase in the Players Championship viewership. Obviously the telltale ratings will be for the lead-up, and eventual, Final Table of the Main Event, but after 8 years of basically the same show the public may be losing interest in ESPN’s World Series of Poker coverage. Fortunately, if the ratings continue to falter there could be a silver-lining in the whole affair. A decrease in ratings may cause ESPN to tinker with what can only be described as a “stale” telecast –virtually unchanged since 2003. I would love for the long interim between the final table being set and then played to be done away with, and it would also be nice to see the show receive a bit of an overhaul; perhaps with some new technology, new hosts, or even a change in the way the show is broadcast –more hands please! If that doesn’t work, giving away Free Poker Money always seems to work. This entry was posted on Wednesday, September 8th, 2010 at 4:39 pm and is filed under Poker News. You can follow any responses to this entry through the RSS 2.0 feed. You can leave a response, or trackback from your own site.